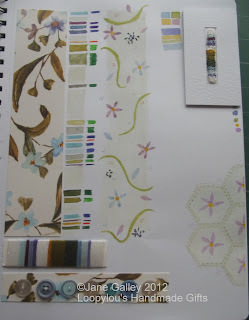 This time, in paint and ink, not fabric and stitch. 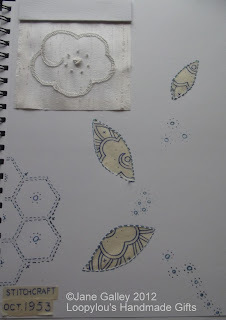 To the bottom corner of the first page, I painted half a hexagon flower, decorated with flowers, and dot flowers in the corners formed by the hexagons. 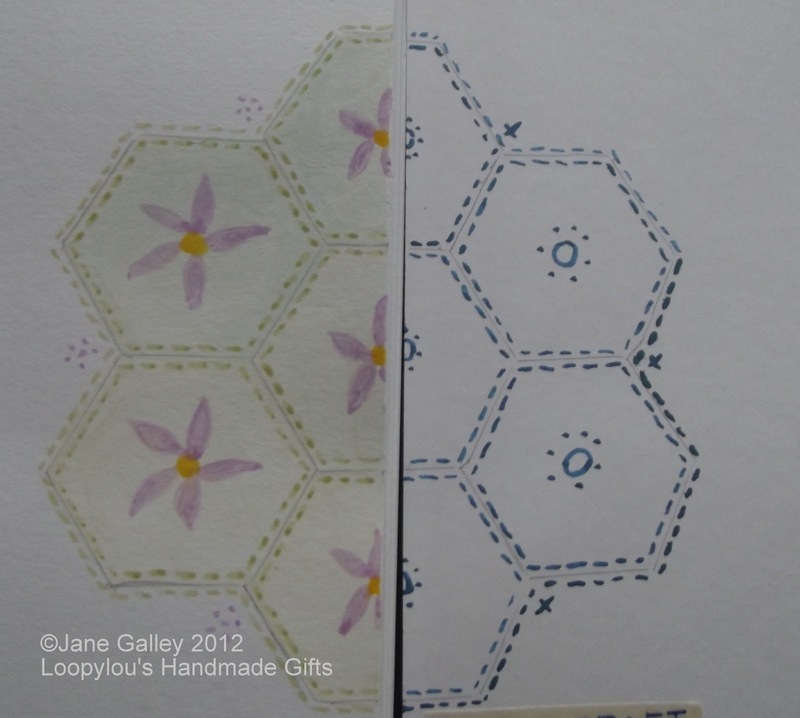 On the extension page of page two, I did the opposite half of the hexagon flower in ink, and copied the flower centres, with crosses in the corners. That means, you now turn page one, and it's extended onto page two. 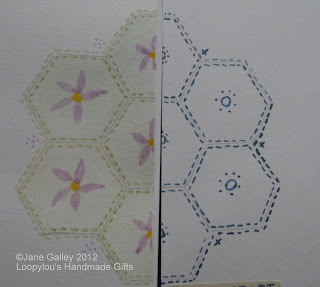 Now to work on the fabric hexagons. 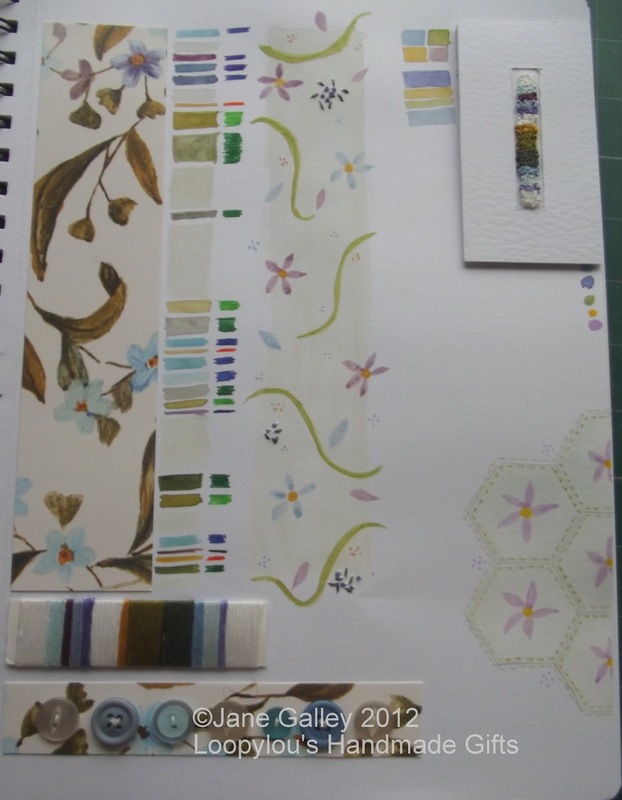 I'm loving watching your progress on this project. Looks great and I love to do hexies in fabric. Oops - I meant to say Lovely! I really like how you made the hexies. This is really nicely done. This is such an interesting process.